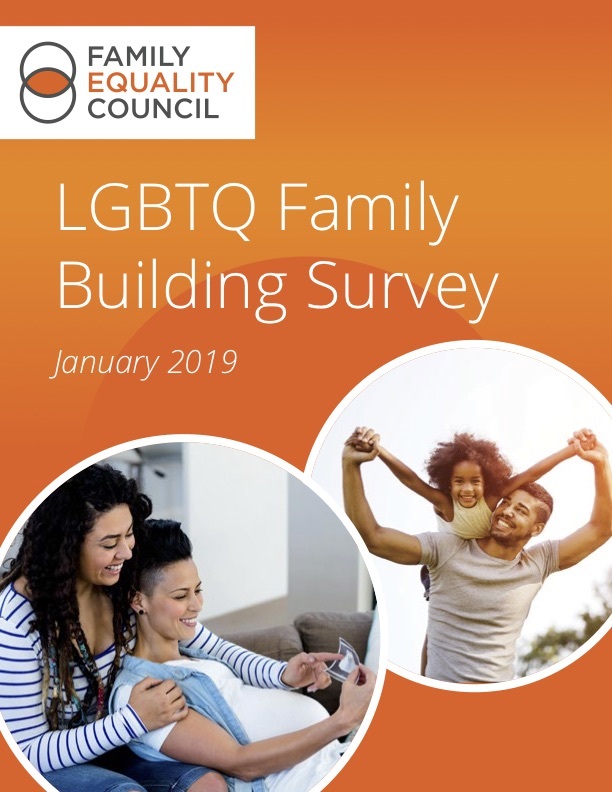 New York, NY — Today Family Equality Council released data from the LGBTQ Family Building Survey, providing new insight into how many lesbian, gay, bisexual, transgender, and queer (LGBTQ) people are interested in becoming parents, and how they are planning to do so. Most significantly, the data reveals dramatic differences in expectations around family building between LGBTQ Millennials and older generations of LGBTQ people. As the nation’s leading nonprofit supporting LGBTQ families and those who wish to form them, Family Equality Council is dedicated to helping members of the LGBTQ community realize their dreams of becoming parents. In 2018, Family Equality Council merged with Path2Parenthood, a leading provider of educational family-building and reproductive health resources with over a decade of experience serving the LGBTQ community, and in January, the Family Equality Council launched the Open Door Professional Training Program, providing LGBTQ cultural competency training to family-building providers, from fertility specialists and midwives to family law practitioners and social workers.